THE Zimbabwe International Trade Fair (ZITF) Company has increased exhibition space due to overwhelming demand from prospective participants eager to do business in the country. This year’s 59th edition of the ZITF is the biggest showcase in more than a decade, spurred by Government’s re-engagement with the international community and the positive economic reforms which have boosted business confidence. Following its ‘Zimbabwe is open for business’ policy, the country has been receiving positive signals of co-operation from business players from across the world. President Emmerson Mnangagwa, who is expected to officially open the historic showcase, has charmed the world by his actions that have proved that the era of rhetoric is over. 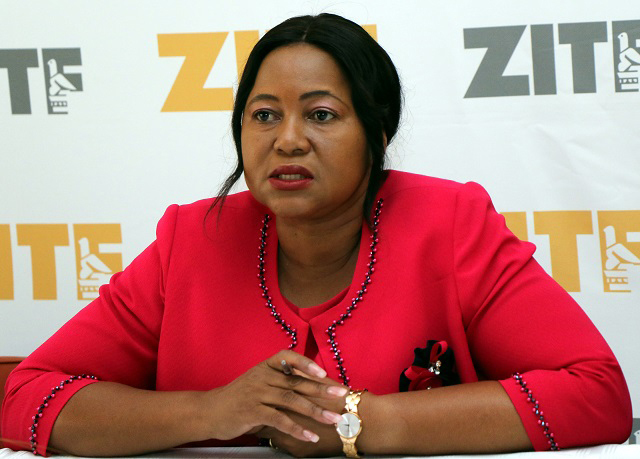 ZITF Board chair Ruth Ncube said the usual exhibition space, which is 48 400 square metres has been fully booked after extending space by six percent, placing it at 104 percent of last year’s closing total. This year’s exhibition will run from April 24 to 28 under the theme, ‘Sustainable Industrial Development-Inclusive. Competitive. Collaborative’. “Market signals are projecting that the 2018 edition will be larger than any of the last few editions of the show,” said Ncube. “We last had an event of this magnitude about seven years ago. “This is pleasing to us because it is indicative of an improved trading environment and renewed impetus to compete in the global marketplace,” said the board chair. “The main reason for this upward growth is that ZITF 2018 is taking place against a unique and exciting backdrop, a time when Zimbabwe has made concerted efforts to re-engage with the international community and position itself for an economic rebirth. She said, this year, the company has opened all the capacity at the Exhibition Centre, every little space is taken, including the halls that had traditionally closed — they have been reopened. “We are managing the risk of being oversubscribed, which we have never experienced for quite some time,” said Ncube. ZITF will further look for alternative space to accommodate more exhibitors, especially foreign participants. About 18 foreign nations are expected to be represented at this year’s showcase and these include Botswana, Ethiopia, Indonesia, Japan, Kenya, Malawi, Mozambique, Nigeria, South Africa and Zambia while China, Cyprus, Germany, Ghana, India, Namibia, Malaysia and the UAE would be represented by individual companies from those countries. The number of direct exhibitors has surged by 27 percent to 454 compared to last year’s 356. Local exhibitors have also overwhelmingly secured their spot at the 59th edition of the showcase, with 25 percent of the direct exhibitors being first timers. Ncube said the international exhibits would cut through a number of sectors including education, mining, aviation, transport, food, clothing and textiles, packaging materials, event management as well as cultural exchange programmes. Ncube said much has been done to ensure improved exhibition quality at this year’s showcase. “We are really pushing quality more than quantity in terms of discouraging ‘flea market-ish’ exhibition, though there is nothing wrong with such an exhibition but we are looking at value addition in terms of products that are being exhibited,” said Ncube. The three exclusive business days will see ZITF hosting the Institute of Chartered Accountants of Zimbabwe Conference (April 24), ZITF International Business Conference which would be hosted by the ZITF Company in conjuction with the National Economic Consultative Forum (April 25). The Confederation of Zimbabwe Industries-ZITF Original Equipment Manufacturers Forum, Innovators’ Forum and the Zimbabwe National Chamber of Commerce Business Luncheon are slated for April 26.